This seat has become AWS. A very promising candidate in this seat. Bound to be a Labour hold. Do you mean Rowenna Davis? Isn’t she a Southwark councillor? I would have thought some local councillors like Jacqui Rayment and Sarah Bogle would be the favourites here. Yes, she’s a Soutwark Cllr. She has a sort of media profile in terms of writing on Guardian’s Comment is Free or doing the paper review on SKY. Sarah Bogle is standing (with the backing of the council leader). Satvir Kaur has also already declared. I’d have thought a possible Tory gain, but likely Labour hold. Not sure why Labour need councillors from Southwark on AWS lists. for the same reasons almost all shortlists in Tory held seats in the run up of 2010 GE included at least someone not local? @Joe James B – There are plenty of non-local candidates who become MPs. The Tories will not be taking seats from Labour – I’d bet £2,000 on that fact. How many £2000 bets have you got running now Bob? You’ll bankrupt yourself. There are usually seats which change parties against the overall trend at every election. If you mean NET gains from Labour then that’s a different issue and I’d agree with you. There will not be any gains from Tory to Labour. Absolutely none. Of course there are seats that change parties, but no Labour seats to Tory will be one of them. Lib Dems will hold Tory-Lib marginals against the national trend and they could gain a seat from the Tories – but nothing from Labour to Tory. £2,000? I’ll be making a lot of money. It sounds like Oxford West & Abingdon would be the most plausible LD gain from the Tories. There are reports of good results in the Local elections for the Lib Dems there. As for a Con gain from Lab : Hampstead & Kilburn might buck the national trend as the demographics appear to be moving towards the Tories there. I’m not placing any bets on either of these actually happening, though. Just thinking about gains that bucked the trend (between Labour and Conservative – and ignoring by election re-takes). I’ve listed below from memory – quite a few in 1959 and 1964 – but not much since. Certainly in the last 5 elections I think there are only 2 examples! (Aberdeen South and Dorset South). Those 3 for 1983 are confused by Boundary Changes which I think gave them to the Tories notionally in 1979 – but ended up being ‘gained’ by Labour – for different reasons in each case. This list may not be exclusive – might have forgotten the odd seat. Certainly on that precedent it would be unusual for anymore than the odd seat to shift from Labour to Conservative – if you assume the national trend will be even just slightly the other way. 1974 (F) – Con gain Berwick & East Lothian – there could be others notionally? oops.. forgot Glasgow Craigton in 1959 as well. @James E – Tories will not gain Hampstead and Kilburn because the demographic trend is moving towards Labour. A recent by-election in that area in Hampstead, gave a swing from Labour to the Tories. Tory opposition to Europe and gay marriage will erode the Tory vote and because it is a 3-way marginal, the Lib Dem collapse will instantly held Labour. 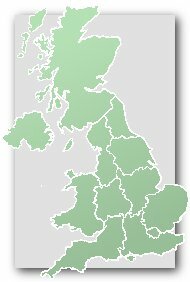 Tories will hold onto Oxford West and Abingdon without a doubt because Lib Dems will be thrashed in university seats, LDs will probably take Camborne and Redruth because they will very organised in those kind of marginals and UKIP is strong in the South West – pinching a lot of Tory votes enough to let the Lib Dems in. If you read my post again carefully you’ll realise that wasn’t a prediction. Labour also gained Glasgow Craigton but lost the by election gain of Glasgow Kelvingrove. 1974 (F) – Dunbartonshire East was a Conservative Gain but I am certain that the creation of Dumbartonshire Central (that mostly came from Dunbartonshire East) would have meant that the revised constituency would have been Conservative in 1970. 1983 –Birmingham Erdington – notional Labour gain. Bob: OWA is not really a university seat. Thats Oxford East. Claiming Hampstead and Kilburn is moving away from the tories demographically is laughable. Hampstead & Highgate returned a Labour MP but would have been a Conservative Gain in 2010. As Hampstead had a Conservative majority of 1835 and Willesden East and a Labour majority of 1788 in 1964 then in 1966 Hampstead had a Labour majority of 2253 and Willesden East had a Labour majority 0f 7006 it is certain that Hampstead & Kilburn would have been won and held by Labour in 1966. If you assume that Kilburn (now Hampstead & Kilburn) was more Labour and Dollis Hill (now Brent Central) more Tory then Labour would have gained Hampstead & Kilburn in 1964. I believe that Hampstead & Kilburn would have been held by Labour from 1964 to 1987 and then briefly by the Tories from 1987 to 1992 on the basis of actual voting. But this includes the consideration of the extreemly close Brent East result in 1987, which was largely down to the circumstance behind the replacement of Freeson by Livingston as Labour candidate. Removing this factor, it is likely that Hampstead & Kilburn would have been Labour from 1966, so the 2010 result would have been one of the closest (if not the closest) in that period. I would say that it had not moved away from the Tories at all, and certainly had not when you compaire it to constituencies like Brent North or Ealing North. I think it probably would have been Tory in 1983 and 1987 because the Tories would have put slightly more effort into winning votes in the Kilburn area. Yes…1964, 1983 and 1987 would certainly have all been close (either way)…but Labour would have won in 1966, 1970, 1974 (both), 1979, 1992, 1997, 2001, 2005 and just in 2010. Actually, Geoff Hoon was always regarded in Ashfield as a very good constituency MP. He had worked locally as a solicitor for many years and had been the local Euro MP. What really ruined his reputation was the expenses scandal together with the lobbying sting he got caught in, and to a lesser extent his involvement as a minister embroiled in the Iraq war. Having a lot of family back in Ashfield I can say that Gloria de Piero is regarded pretty universally as a lightweight carpetbagger with little connection with nor regard for Ashfield. Unlike other parachutees elsewhere her political career has not taken off on the national stage, in fact she has become almost invisible. The local Labour party here imploded some years back and is still in a parlous state. Note that despite the confident predictions of “The Results” and others, the Lib Dems still did very well here in the county council elections and can be expected to hold up quite strongly here in 2015, with Mr Zadrozny likely to stand again. They won’t win but I don’t expect a Labour majority above 5000. In the short term he got off relatively unscathed from Iraq, but who knows what future investigations will bring. It’s not beyond the realms of possibility that rendition and alleged collusion in torture will lead to future charges against Blair, Straw, Hoon, Beckett and/or David Miliband. Certainly I believe history will increasingly blacken their names. However Ashfield is not the kind of seat where Labour voters were much bothered by Iraq. However they were extremely upset by the expenses and lobbying scandals Hoon was implicated in. Your assessment of Mrs de Piero is widely shared by her electorate. Joe’s statement about Hampstead & Kilburn – Claiming Hampstead and Kilburn is moving away from the tories demographically is laughable. – is absolutely correct. A generation ago Labour was competitive in areas which are now solidly Tory in the constituency. Do the “entirely non-political reasons” refer to your hope of Labour hanging here or to the reasons why you think it will be harder? Actually, I got a bit lost…the “here” here is Itchen, Hampstead or Alshfied? They refer to the fact that I incorrectly thought Rowena Davies had been adopted as Labour’s candidate for Itchen. Yes, Rowenna Davies is just one of the applicants here. In contrast with De Piero in Ashfield, this is not a late selection with shortlisting in NEC hands. So she will have to beat local contenders to get the nomination. As Matt previously mentioned, Sarah Bogle is probably the early favourite. She’s in the Cabinet and she’s supported by the council leader. Yes but it is also considerably more white British than Southampton Test. I would expect this to be the Tories’ best out of the two seats from now on. As someone who has lived in Southampton for five years, demographics really are key. Following EU enlargement in 2004, there has been a fundamental sea change in the make up of the population. Where once schools were closed for being undersubscribed, now there is a places crisis. The same in housing. It is now not true to keep saying “Itchen is safer”, it isn’t. As was pointed out earlier, it is considerably more white, and significantly more angry about immigration, housing, welfare etc. That is why the Tories will focus on Itchen primarily in the future. It was on the TV a few months back how Southampton has (I think) the highest Eastern European % of the population in the UK. UKIP didn’t stand in previous recen years. Labour was down 20 points compared to 2011-12 and 10 points compared to 2010. They were 9% down compared to 2008 too. Con were down 5.5% compared to 2011-12 and 4% compared to 2010. Yes although it’s a Labour hold it’s a poor result for the party. It seems that UKIP took a lot more votes from Labour than the Tories on this occasion. Labour will not be at all happy at the 3% swing to the Conservatives here since the general election. I think it may be to do with (according to the other place) a damming independent review as to the labour effectiveness of the previous labour councillor who here. In an election where there was a small swing to Labour, it is possible for some marginals to swing different ways. Labour could gain 20 to 30 Conservative seats but still lose the odd seat to the Conservative here or there. 1964, there was a counter swing in Smethwick and Eton & Slough. In 1979 there was a counter swing in Glasgow Cathcart. In 1983 there was a counter swing in the revised Glasgow Cathcart, Crewe, Liverpool Broad Green, Birmingham Erdington ect. In 1987 there was a counter swing in Ipswich, Thurrock, Walthamstow, Battersea and Wolverhampton North East. In 1992 there was a counter swing in Aberdeen South. The swing to Labour in 1997 was so large that there was no counter swing in any seats. 2001, counter swing in Dorset South ….Gosport and Basingstoke to, though they did not fall. In 2015, even if there is small swing to Labour, the Tories could win the odd Labour marginal. UKIP could also make a difference, taking more Labour votes in some areas than Tory. Not quite true: there were small swings to the Tories in Bradford West and Bethnal Green & Bow. There was of course a counter-swing in a vast number of seats in 1987. The whole of London & the SE swung further to the Conservatives that year, with a few exceptions (Streatham & Croydon NW come to mind, and if it counts as the SE, Oxford E too), with the worst Labour results being in Edmonton & Ealing N – ironically now both safe Labour seats. If Peter means simply seats gained, then that’s a slightly different story. And both went unto be won by George Galloway. Good point: I hadn’t noticed that before. Regarding those two 1997 results, at the end of the day a result is a result whatever the reasons for it. Lots of seats are affected by ethnic and/or religious factors. By counter swing I did mean results that resulted in a seat changing hands. On swings for example in 1987, Newham South may have regarded the largest counter swing (though it did not change hands). Norfolk South West was famous for swinging against the tide between 1945 and 1970.